Cecile is the Vice President of Human Capital Management (HCM) Innovation at Ultimate Software where she writes and speaks extensively on the changing worker and workforce. Dr. Conrad is the Sr. Director of Human Capital Management (HCM) Innovation at Ultimate Software where he helps organizations stay abreast of the latest workforce trends and innovative approaches to people management. Many companies tout the business value of diversity and inclusion, but are they doing all they can to realize that value? Every employee must have a voice and every voice must have equal weight, irrespective of the person’s role, gender, nationality, and so on. Rapid advances in technology—from the IoT to AI —and increasing workforce fluidity are combining to reshape today’s corporate workplaces. The transformation of the workplace is a sea change that, unfortunately, has not gained widespread momentum, yet. D & I is at times a complex and thorny subject. Bold companies that want to level the playing field must lead the change. all with unique motivational drivers, needs, and expectations. 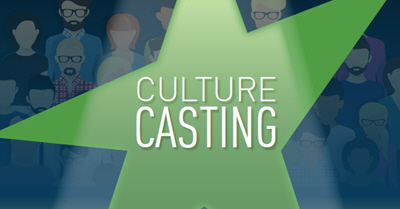 This talent management guide will show you all the components of culture casting that reveal the current reality of your company and the actions you can take to further your corporate cultural growth. Distributed technologies that are the hallmark of the Internet of Things (IoT) give HR leaders the ability to explore new workspace concepts that foster connectedness, collaboration, and top performance. The future workforce will only become more blended and complex, with people and machines working side-by-side — this can create more opportunities for meaningful work if employees are properly trained and reskilled in the coming years. 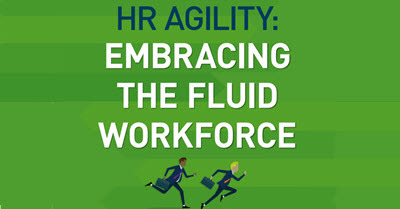 With the dizzying pace of change and the mind-blowing exponential growth of data and technology available to us showing no signs of letting up, organizations will struggle to help employees cope and thrive without a new approach. More than ever, people today want a more personal, human work experience from employers. The ‘one-size-fits-all’ management approach of years’ past is disengaging and must be replaced with a highly personalized experience that optimizes each individual’s unique potential and contributions. Where machine learning and human intuition combine forces to achieve more than either could alone—moving beyond automation to augment and amplify our human intelligence and capability. If you want to invite Cecile or Jarik to speak on these trends at your company or event, feel free to send us an email!